I knew it was going to be my lucky day when the front seats were free on the top of the double decker 555. 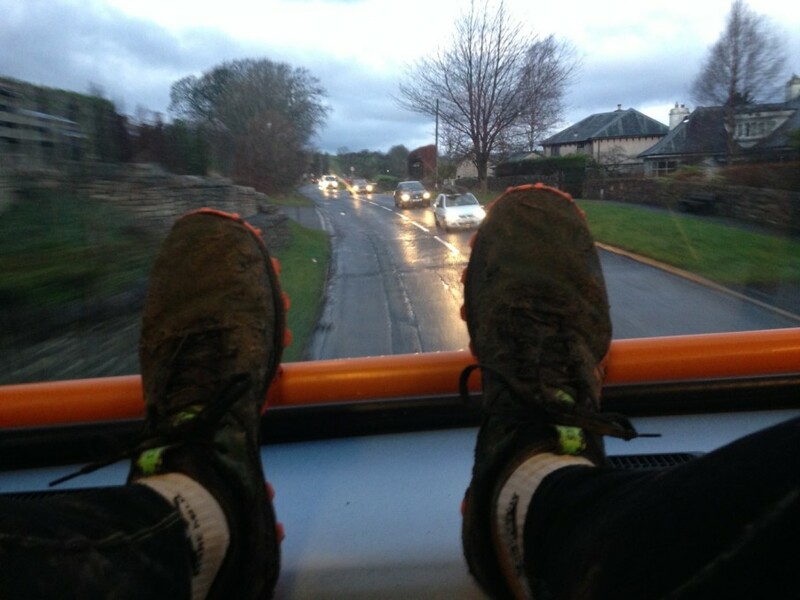 I’d left home in darkness, dressed in yesterday’s smelly, damp running gear. Jogging down the slippery cobbled lanes, bright with rain, to catch the early morning bus to Ambleside. As dawn approached, I could make out snow on the tops in the distance. Shafts of sunlight greeted us at Ambleside, and I hopped off the bus, looking up at the white hills and huge dark clouds. First stop, Esquires Cafe in town, for a perfectly presented flat white coffee, a ten out of ten, a great start to my day. It was still early, there were only two other people in the cafe, a tourist couple, I think. They were eyeing me suspiciously. 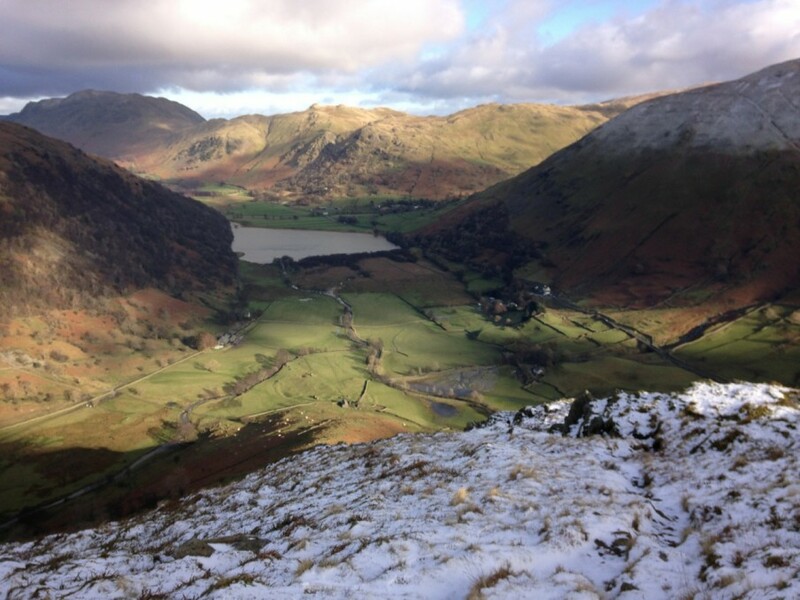 I got my map and compass out and took a safety bearing off Hart Crag. If it’s thick with cloud up there, finding the ridge off would be difficult. 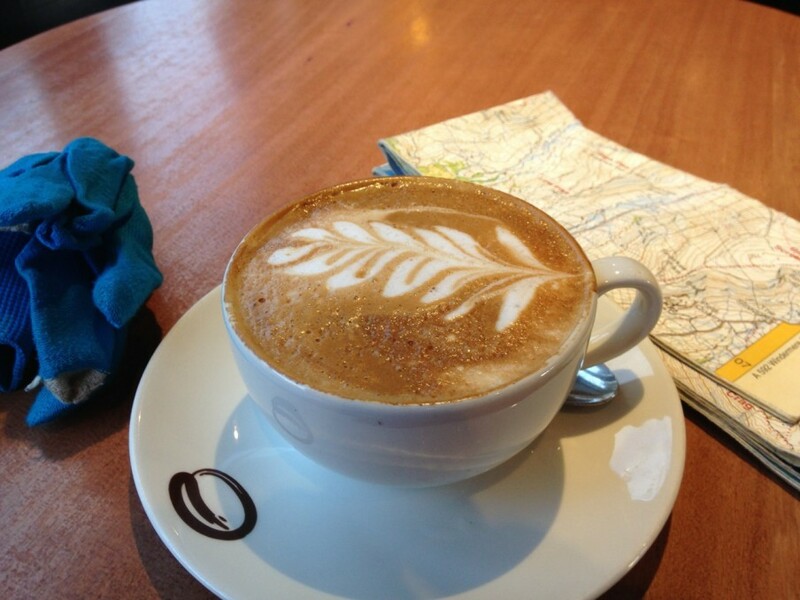 “Enjoy your run” said Mr Barista on my way out. 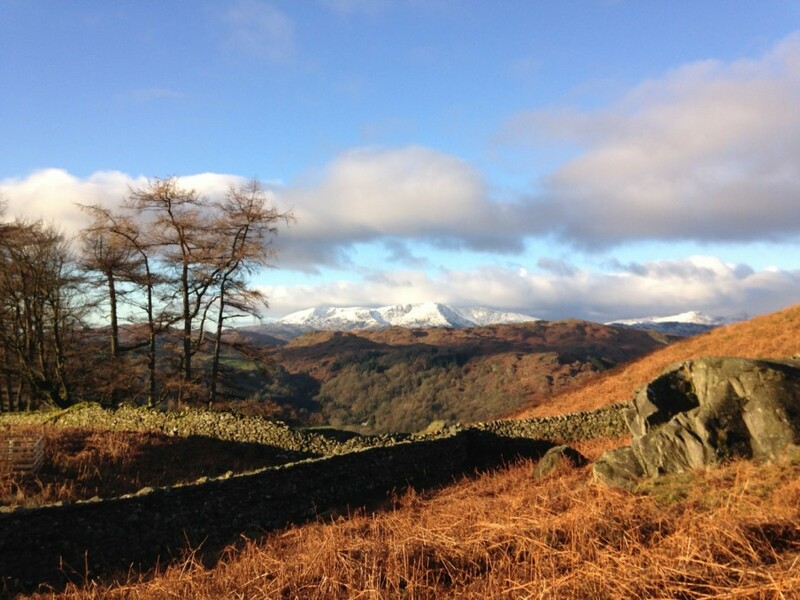 Leaving Ambleside behind, I ran along to Lower Sweden Bridge, the sun was up now, with clear blue sky above, and I soon reached the snow line. The sight ahead simply took my breath away. 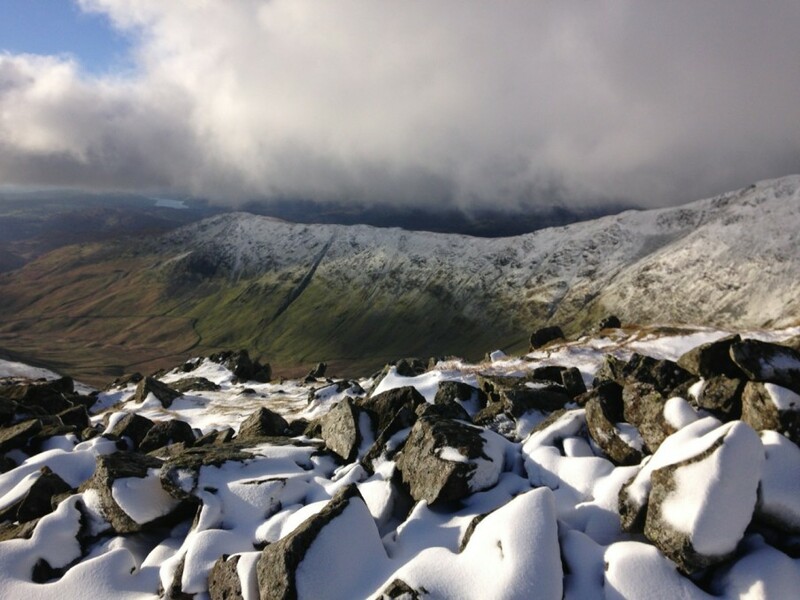 The fells white with fresh snow, untouched by footsteps. I was the first. This kind of snow was perfect for running, only a few inches deep, already melting in the sunshine, with no ice underneath. There was hardly any wind and I could feel a spring in my step, the climb to my first Wainwright summit, Low Pike, was effortless. Every few minutes I had to stop and take in the views, capturing the memories with my camera. 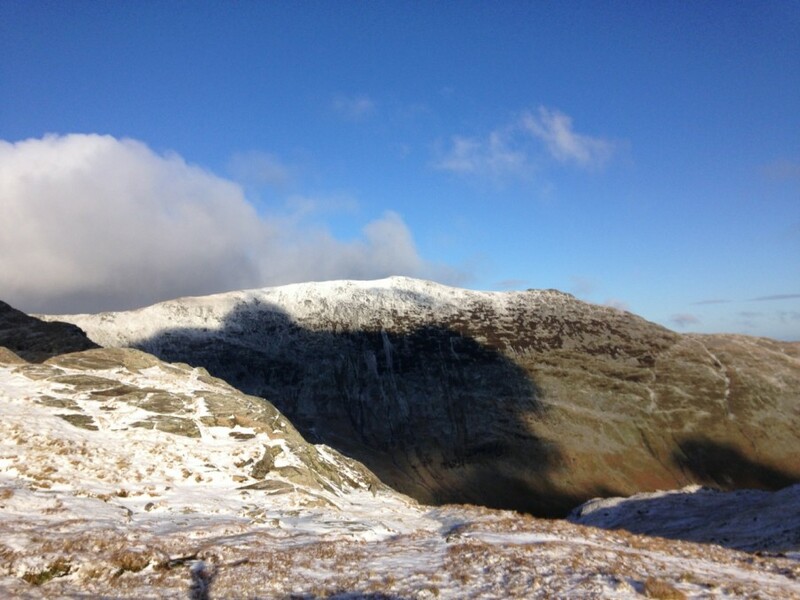 On up to High Pike, and then to Dove Crag. It felt surreal. I seemed to be floating over the snowy ground, totally immersed in the environment. Thermal cloud built up and subsided, constantly changing the shadows and contours. Every step a different view. Hart Crag was next. The cloud seemed to disperse as I neared, as though opening her curtains just for my benefit. 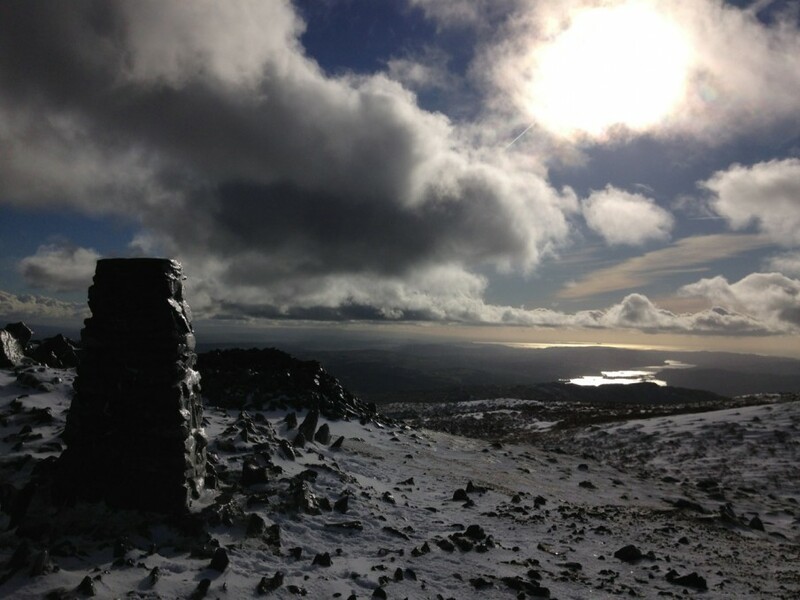 When I reached the summit, it was basked in sunshine. 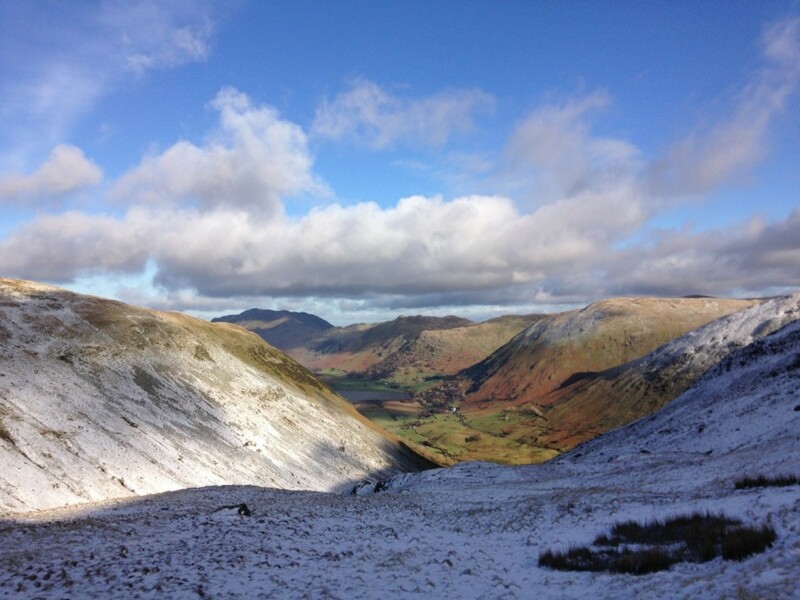 Running down the snowy ridge to Hartsop above Howe, feeling dwarfed by the bulk of St Sunday’s Crag. From here, a steep descent through melting snow to the valley floor, at Dovedale, the battered remains of a washed out footbridge jammed between rocks in the beck below. Across flat, green fields feeling the heat of the sunshine on my face. 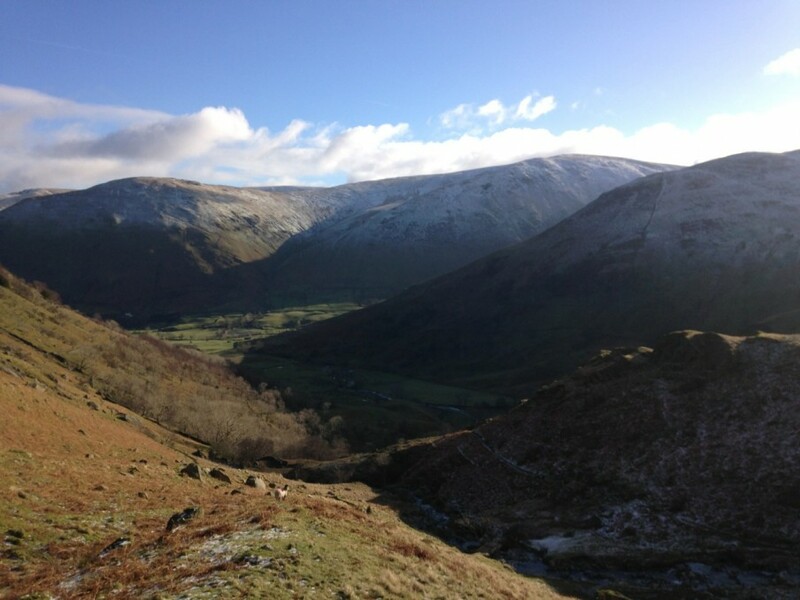 A wade across Hartsop Beck, then a steep climb back up to the snow line, and the summit cairn of High Hartsop Dodd. The views everywhere were simply stupendous. I always follow a clear route when I’m in the hills. 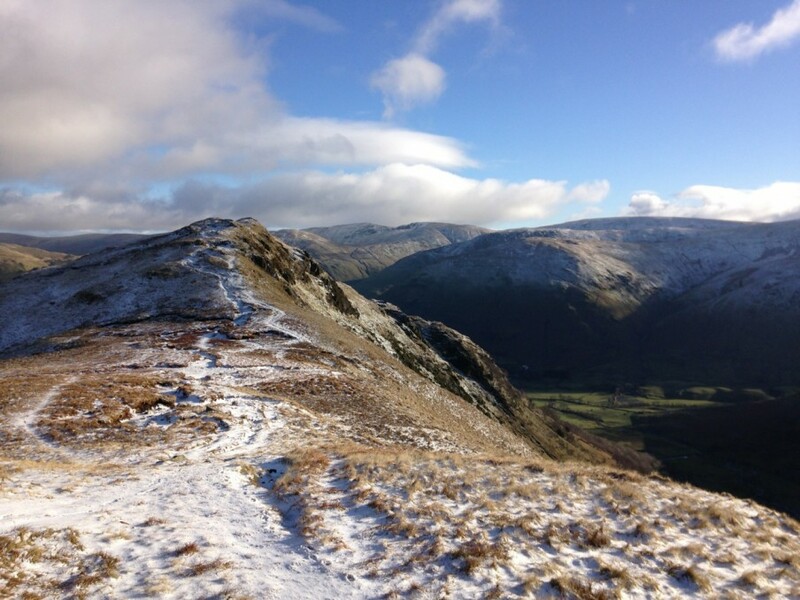 I hate “dog legs”, the out and backs to summits from the main ridge line. I much prefer my running journeys to embrace vertical descents, river crossings and steep climbs over rough terrain. For me, it makes for a more fulfilling journey. There’s more of a sense of adventure, a brush with running on the wild side. 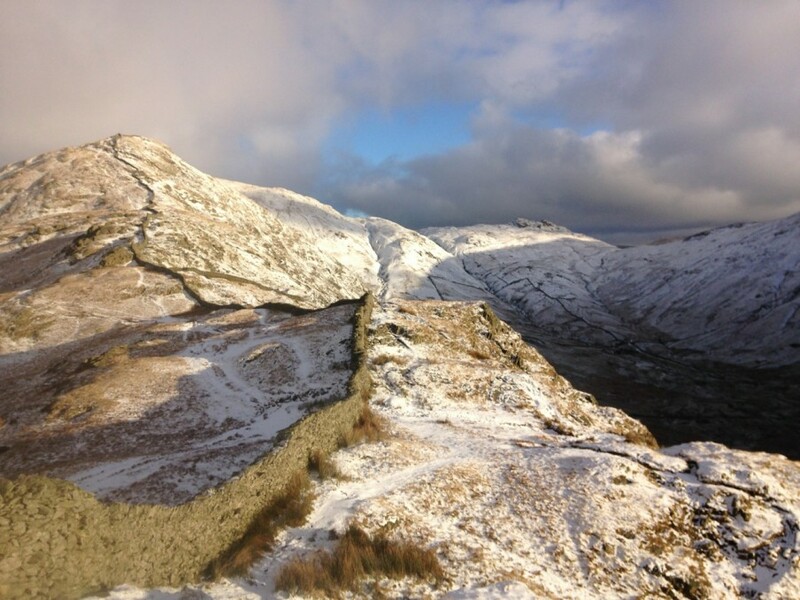 Deeper, soft snow on Little Hart Crag, and at Scandale Pass I pick out a lovely contouring line, gradually climbing to the summit of Middle Dodd. 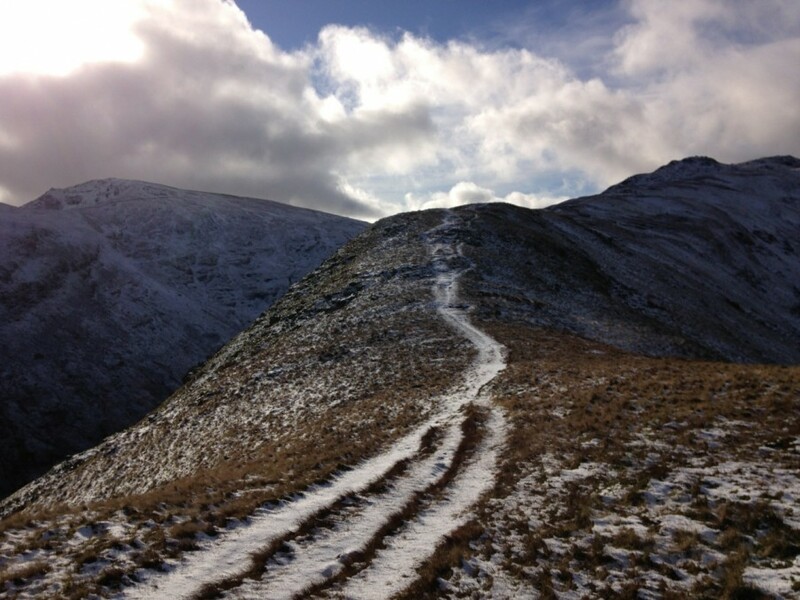 Hoof prints of Herdwick sheep in the snow confirming this as the best route. 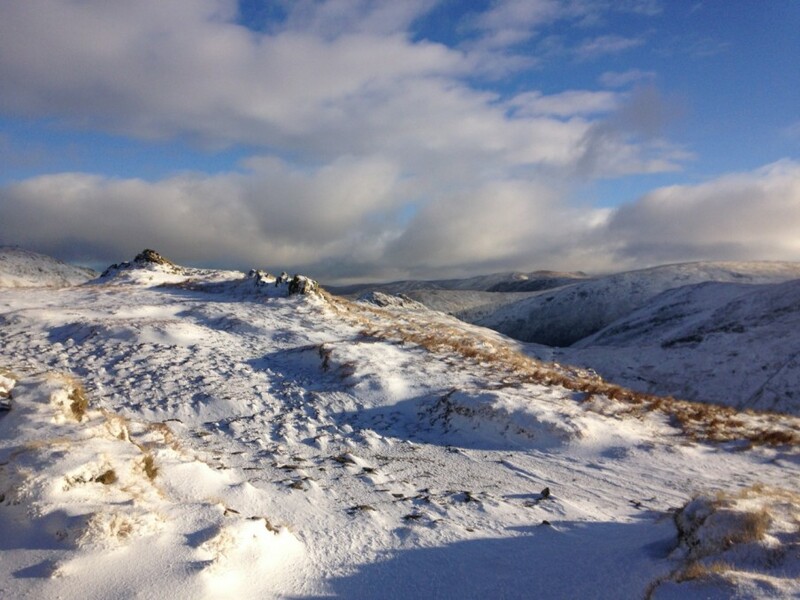 Before I knew it, I was almost at my final summit, Red Screes. I stopped, and spent some minutes taking it all in, genuinely saddened that I was coming to the end of my run on this special, special day. What a great day to be alive! 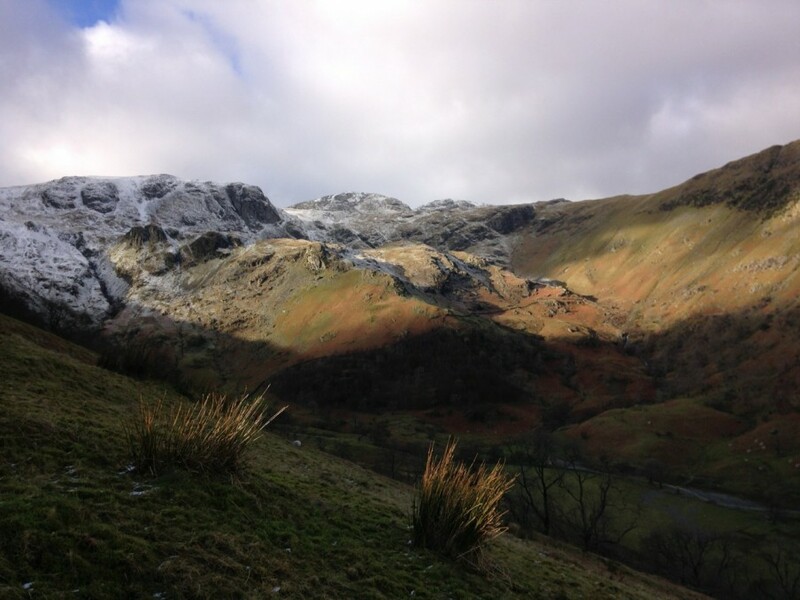 I picked my way down the steep rock, slippery with ice and melting snow, streams in the distant valley sparkling white with sunshine, down to the Kirkstone Pass car park. “Patch” the van was where I’d left it yesterday afternoon. I jumped in, turned on the radio, and joined Gary Barlow singing one of his cheesy songs, getting home in time for lunch with Claire. Another 9 Wainwright summits today, that’s 29 down, 185 to go. You’ve got to be in it, to win it. 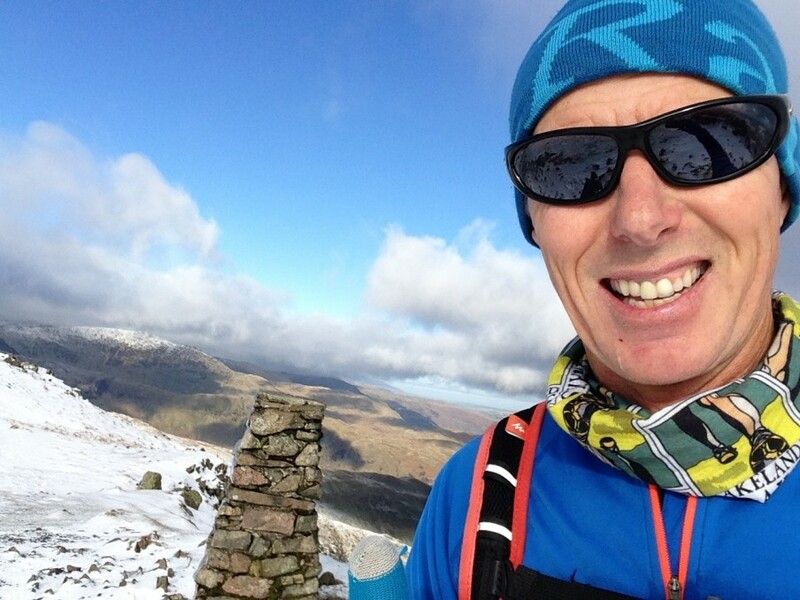 Sign up to my blog to have a chance to win FREE trail running goodies. 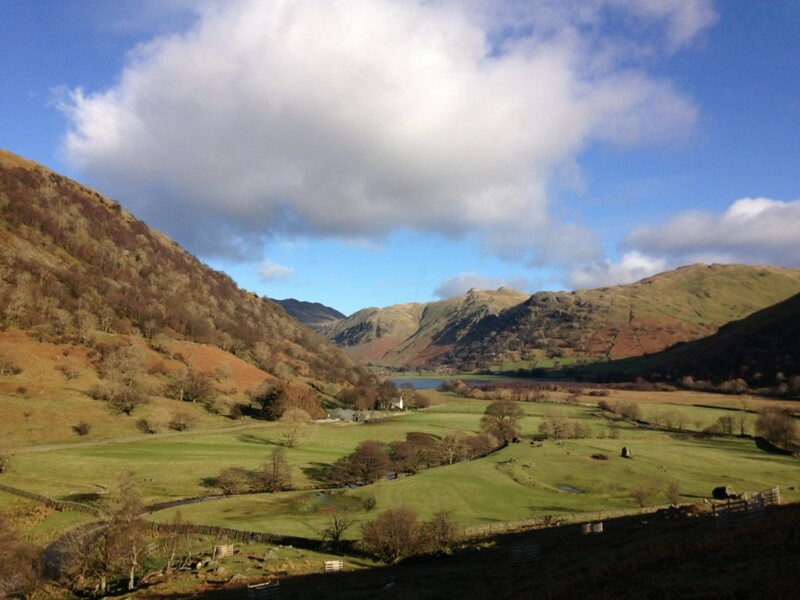 There are some great gifts on offer, such as trail running product, entries to the Lakeland Trails events and lots of other items too. 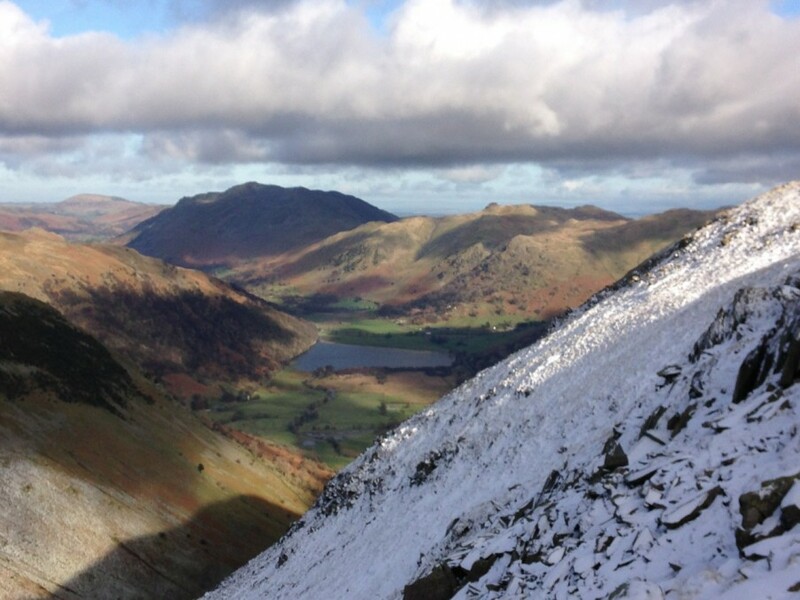 On the 15th of each month, everyone on my subscribers list will go into a prize draw and the winner announced on the Lakeland Trails Facebook page, as well as by email. 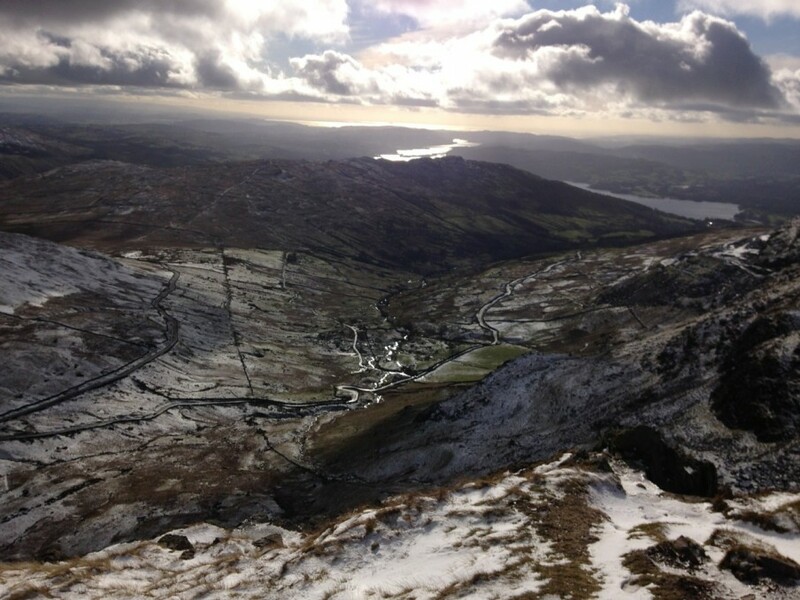 An awe inspiring challenge with absolutely tremendous views… so jealous keep us posted!